Everyone needs three macronutrients in order to survive: Proteins, Fats, and Carbohydrates. We’ve already taught you how to figure out your appropriate daily caloric intake. We’ve even taught you about protein, and how much you should be eating every day. That leaves two more macronutrients to discuss: carbs and fats. So we know we have to eat a certain amount of calories each day and if you read my posts on calories and protein, you already have your appropriate estimate of calories plus how to figure out your basic protein allotment. Before you can figure out how to partition the rest of your calories between your carbs and fats, you’ve first got to have a clear understanding between the two, and maybe even more so, a better understand of yourself. Fats sound like they would be bad for you—I mean that stuff we are trying to get rid of is called fat. But fats do not make people fat. And if you haven’t read my article on that, grab it here. Fat protects your vital organs, provides energy to your body, fights inflammation, promotes heart health and really helps keeps you feeling full and satiated (my favorite part). If you learned about nutrition in the 1980s (or your current nutrition expert/teacher studied in the 80s) then you probably think fat is bad. In reality, most fats are actually pretty good for you. And by most fats I mean the naturally occurring fats—saturated, unsaturated, polyunsaturated–they are all good (mostly). Food processing has created some bad fats called trans-fats. In an effort to make food last longer and feel softer in your mouth, food processors take regular unsaturated fats and hydrogenate them. This is bad. Real bad. In fact many health organizations refer to trans-fats as a contaminant byproduct of food processing. Trans-fats are edible but they have been linked to cardiovascular disease and obesity. Trans-fats are so bad that there are laws limiting them or banning them in other countries. The United States has had proposals to ban trans-fats and in 2013 the United States Food and Drug Administration (FDA) officially said trans-fats are “generally not recognized as safe.” That might not sound terribly scary, but for the FDA to talk bad about a product the US makes—that’s really scary stuff. But I have heard saturated fats are bad? Whoever told you that saturated fat (fats from animals) is bad, is one of those people who studied nutrition in the 1980s. The dogma that fat, particularly saturated fat, is bad for you and carbohydrates are a better choice, is likely the reason heart disease and obesity have both skyrocketed in the last 30-40 years. If you are wondering whether a fat is good or bad, simply ask yourself this: does this fat occur naturally? If the answer is yes, then by all means eat it. If the answer is no, then treat it like poison—it is. Coconut oil is natural, so it’s good. Hydrogenated vegetable oil is not natural, so it’s bad. Fat from beef (organic) is natural so it’s good. Partially hydrogenated oils added to many nut butters are not natural and very bad. The naturally occurring oils from nuts are natural so they are good. Think about it this way: early humans evolved from eating fats, particularly animal fats. The hunter-gatherer diet would have consisted of large amounts of fatty tissue. We were evolved to eat this stuff. Most of those shelf oils you see in your baking aisle at the grocery store are bad—safflower, canola, vegetable oil—those oils that sit there in liquid form are usually hydrogenated and this makes them scary—stay away! Most reading this have heard of essential fats or “healthy fats.” Generally, these terms are referring to polyunsaturated and monounsaturated fats. But the truth is, it depends on the form the fat comes in. For example, safflower oil is a monounsaturated fat, one of the so called “healthy fats,” but if the oil is hydrogenated to last on the store shelf, then the so-called healthy fat just became pretty unhealthy. A good example of a monounsaturated fat is the avocado—those are very natural, so eat them. Nuts too! They grow on trees, not in laboratories. A good example of a polyunsaturated fat is salmon—this fish comes from the sea so that is good. Just remember that natural is good. Processed is bad. Speaking of good and natural—Omega 3s rock! The number one fat you absolutely do not want to limit is your Omega 3s—DHA, ELA, and ALA—these fats are the best. They are commonly found in fish. This is why one of Strong Figure’s biggest recommendations is to take fish oil. This stuff is so awesome we are giving Omega 3s and fish oil their own section in our book—make sure you get your copy so that you do not miss this! I understand this is not easy. Many of us grew up thinking the fat free foods were the healthier choice. Many of those fat free foods were loaded with sugars as replacements for the fat they removed. It really is no wonder, heart disease and obesity skyrocketed over the last few decades. We are starting to get a handle on the science stuff. Now we need to just follow the new rules set in place. Last: How much fat should a person eat? 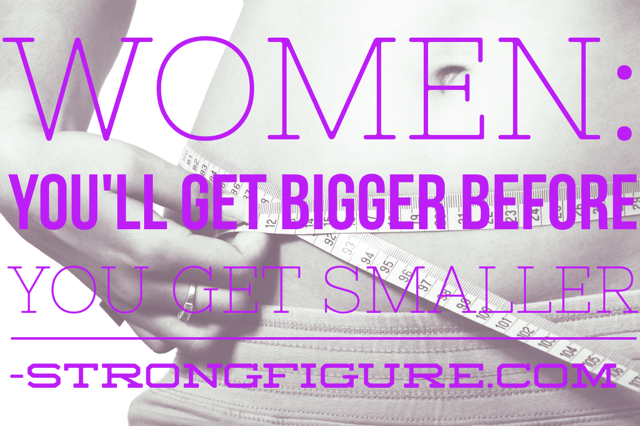 As a general guideline, you should get about 30% of your calories from fat. These calories from fat will help you to increase your fat loss, provide you with satiety—that full feeling, and provide you with the necessary energy to start your new fitness regimen. The Total Health and Fitness Makeover Workbook provides the detailed formula to help you best figure out your daily fat grams goal. Make sure to order this week–the workbook is FREE with the purchase of the book. And the first 50 purchasers also receive a customized macro evaluation from Steph. The body uses carbohydrates for fuel. They are very important. And as the “low-carb” advocate for most of my fitness career, I need to make one thing clear–especially to the active individual: carbs really are essential. One of my biggest nutrition mistakes I made was to go low carb for too long. Barnum’s quote essentially sums up my diet for too many years: I ate low carb at first, and it worked. But after a while, it stopped and I started storing more and more fat to make up for the missing energy stores I needed–especially for tough workouts. So what did I do? Restrict carbs further. How many people have done the same? And what happens when you’re trying to train and you aren’t eating enough carbs? “If you are training hard, you need ample carbs in order to perform optimally, as they are the most readily used by the body” (Krissy Mae Cagney). In fact, if you aren’t eating enough carbs around your workout training (especially post-training), your muscles won’t recover properly nor will you gain as much lean muscle tissue as you desire if you don’t eat enough carbs. When a person eats carbs, those carbs get stored in the liver and muscles as glycogen to be used later when energy is needed. 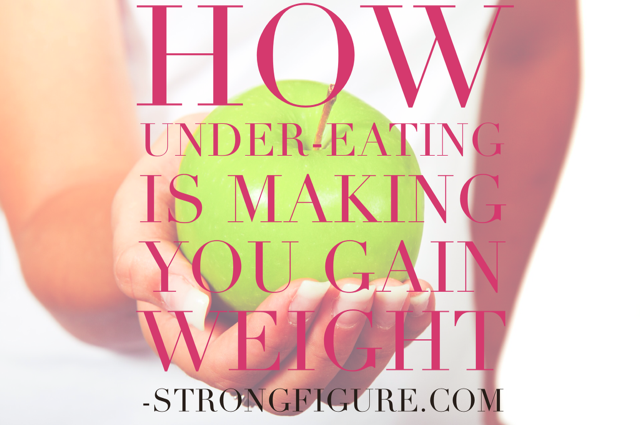 It’s when we eat TOO many carbs that unwanted weight gain occurs. The goal is to find the “sweet spot” based on our individual needs. I cannot stress that enough and that’s what figuring out your appropriate macronutrient ratios will allow. Figuring out how many carbs you need vs. how many I need vs. how many the guy down the street needs is always the hardest part of this equation. I literally can’t say this enough: we are all so, SO different. I can get by on 158 grams of carbs per day. Someone with the same training regimen I’m on may need 210 grams of carbs per day. Another may need 120. Learning to listen to your body, feeding it to fuel your training or your lifestyle, thinking about just how hungry you really are before you dive into that bowl of cereal, may be something you have to start paying attention to. I think, before I totally stress you out, the key element to remember is that we all need carbs. If we over-eat them, no matter what kind of training we do, we won’t achieve desired results. And if we undereat them, we won’t see our desired results. Heck, we can even stall muscle growth and repair, and end up with injuries if our carbs aren’t right for each of us. But figuring out what works for YOU, and only you is more important than any other information that I can give. Foods containing added sugars (e.g., cakes, cookies, and beverages). And there are two main types of carbohydrates. So which one do you eat? It really all depends on your goals. Carbohydrates are a very tricky subject—as you’ve already seen. So just remember, I want you to consciously choose carbs that are the best for YOU at this stage in your lifestyle–whatever that may be. The big question: How many carbohydrates should a person eat? As a general guideline, you should get about 40% of your calories from carbs. In the beginning stages transforming your health, 40% calories from carbs will help you feel full–especially since we advise you to choose ones that are slow digesting and high in fiber. These choices help your digestive system, fuel your activity, and even help you process activities throughout the day. Carbs also provide you with the necessary energy to start your new fitness regimen. So can you eat ANY type of carbs to fill your 40%? Micronutrients (think: vitamins and minerals) are important with how you choose your foods. If I told you that you could eat 2500 calories a day and you could have 250 grams of carbs (1000 calories worth of carbohydrates), you could easily fill those 1000 calories with ice cream right? (Ok, maybe you personally wouldn’t do that, but it wouldn’t be hard to eat a bowl of ice cream, a doughnut, and a couple chocolate chip cookies and be well over your 250 grams of carbs goal.) Would you feel good? 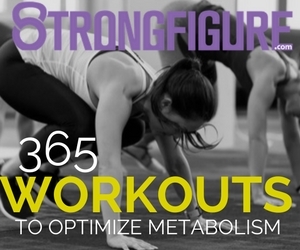 Would you perform optimally? Would you be an overall healthy person? No. Where are your micronutrients? If you can fill those 250 grams of carbs with fibrous vegetables, some fruits and berries, oats, quinoa, a sweet potato, a couple Oreos…whatever it is that makes you happy, full, and satisfied, THAT’s where you find your micronutrients…and your sanity. Understanding your food choices should be easy. Eat your correct macronutrients while aiming for the best micronutrient choices. Essentially, eat a lot of vegetables and fiber. And if you have a couple hundred calories left over to fill, then have your favorite treat. Eating a well-balanced variety of nutritionally sound foods benefits both your physical AND mental health. It’s simply knowing what YOUR macronutrient numbers are and there are no “good” vs “bad” foods–just smart choices for YOUR best health. DON’T FORGET: The Total Health and Fitness Makeover Workbook provides the detailed formula to help you best figure out your daily carbohydrate goal. As you can see, carbs are probably the trickiest macronutrient that we MUST eat. And that’s probably why our nutrition unit is the largest chapter of our book. We’ve written this book based off of my (Steph’s), experience with food. 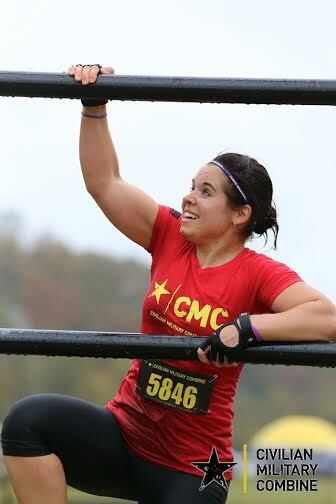 I was the overweight girl who didn’t know how to eat right or exercise, and I tried a lot of different things in order to get where I am now. I failed at a lot of things. I think a lot of people are like me and that’s why we wanted to put this whole book together. I’m not a perfect eater and I think people relate to that. I like spinach and kale, but I also like ice cream. I believe in balance, enjoying life, but also eating healthy enough to be happy with my body and to [hopefully] age gracefully. So this is why I keep track of my micro and macro-nutrients day to day, this is the basic method of nutrition that we have written about, and it’s what I want to bring to YOU. After all I’ve tried and failed at, from low-carb eating to Paleo programs, to monthly challenges, to binge eating pizza on my sofa in front of the TV, THIS—keeping track of my macros—is the method that I have found that works the best for me and SO many people like me. This is my happy place—the place where I’ve never been more satisfied with food, my figure, and even my fitness. It’s simple: we all need carbs, fats, and proteins to survive. Some people need more than others. And that’s what we’re going to teach you. I know from experience that the same method of eating doesn’t always work for every person, but that’s why we’ve put so much into this unit (and it’s also why this unit is the longest one). This unit will teach you the way that I honestly believe is the best way to eat, but we also teach the basics: how to make smarter food choices, how to switch from a non-nutrient dense food to a better one, and even common questions such as, “how many calories should I eat?” While I want to give you a solid base that I know will help you; for some, you may just be reading to try and gain a better understanding of basic nutrition. “Is peanut butter a protein or a fat?” “Can fruit actually be bad for you?” “Do I need to eat low carb to lose weight?” All these are questions that our unit will help you with while we teach you about the macro and micro-nutrients that we ALL need to eat each day. In our book, we talk about macronutrients a lot because no matter how you look at food and nutrition, we need these three macronutrients for survival. Having an understanding of HOW MANY of each of the three, really works for most people–especially for me, and for those I have helped. But our book isn’t a “Macro-counting-pushing” diet book. We have included a lot of information for people who prefer a higher fat diet or who need to start their transformation not by counting out macros, but by switching to different food options. We also have created a chapter for those who cannot or do not want to count or track calories due to time restriction or even due to the possibility of triggering a previous eating disorder; and we’ve created a very simple process of learning how to food prep with proper portion control in order to meet each individual’s needs–without having to count, weigh, or track every morsel. In fact, when I first heard of “Macro Counting, IIFYM (If It Fits Your Macros), and Flexible Dieting,” I actually ignored all the Instagram photos and hashtags, assuming this was another diet fad. I’m sick of fads. I tried the certain-number-of-day challenges, the whole foods only program, the block programs, the high fat/low carb plans, and even intermittent fasting plans. This is how I learn; it’s how I’ve always learned. I love trying new things and nutrition sparks my curiosity. But do you know what I’ve learned in now 12+ years of studying, trying, failing, helping myself, and now helping others? A well-balanced diet of healthy carbs, fats, and proteins–mixed with a treat here and there, works. Fads don’t. Our book is not based off fad diets. It’s based upon sound science, research, and a lot of trial and error. When Erik and I first started writing The Total Health and Fitness Makeover book, all we wanted to do was show people that it was easy to transform themselves. 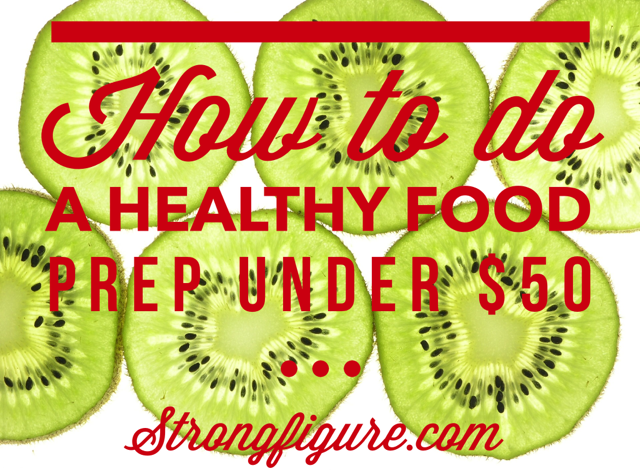 That choosing healthy foods didn’t have to be hard or too costly, and that exercising could be a lot of fun. We wanted to show my personal journey and transformation, and we wanted to show that there are various ways to reach your makeover–and that not all the same ways work for each person. We thought writing this book would be simple. Heck–I thought it would take a couple of months. All I had to do was sit down in my spare time and write about my journey from fat to fit with all my best “what to do and not to do tips”? Simple! We thought we were going to launch the book in Janurary of 2015. It’s now almost August 2015. And we STILL have more resources we are adding to accompany this book. While I thought it would be easy to simply tell people, “If I could do this, so can you,” the more I wrote, the more I realized the complexity of the individual. Just yesterday morning I had a conversation with one of my friends and Strong Figure Ambassadors about how he feels healthier on a diet higher in fat and lower in carbs. And last week another ambassador and I had a convo about how even though most calculations put her at a lower target calorie number, she actually has greater success eating more than required. All the while, I receive messages from others letting me know that the same calculation methods that work for me, have helped change their nutritional lives. We’re all different and the book is geared towards helping you find stability and peace with food…no matter what sets you apart from others. We have been editing and editing and editing the nutritional unit of the book for months because we want to give you the most valuable information that we can find and that we have experienced ourselves. It’s more than just food. And while ensuring that the nutrition unit is solid, we consistently found ways to enhance the other areas of the book. For example, we started off the exercise unit by explaining some of best ways to workout for beginner exercisers. By the time we finished, we had included a complete fitness assessment section written by an experienced chiropractor, and we even included various methods of yoga, mobility, and stretching to help with muscle recovery and body maintenance. We wrote walking programs, designed a lifting plan for runners, and devoted an entire chapter on intervals and sprinting. I think one of the best parts of the book is Unit Four–the unit on Inner Peace. In fact, Erik and I embarked on our own quest for knowledge on seeking better mental health because we believed it to be such an important factor for a true Healthy Transformation. I learned just how important personal growth is for my mental health, and I have read several books that have helped transform the way I think about both myself and others. I’ve realized the value in eliminating negativity (even blocking negative people) in my life, and I’ve learned how powerful our brains and the power of thought, meditation, and affirmations can be. All I can say is that I’m almost stunned by the difference in his sleep these days because of his extensive research on our sleep chapter. Erik has suffered from poor sleep (a genetic issue he, his mom, and brother all have) and since researching, experimenting, and developing a sleep hygiene routine, his sleep is indescribably better. The best part of the whole project isn’t even mine. So, yeah. We wrote a book about my experiences with food, getting fitter, trying a lot of “fads” and being able to give you the “what works and what doesn’t” lowdown on health and fitness. But what you may not know is the amount of HOURS of research, the number of ambassadors and experts who contributed their personal stories and tips; and the sweat, time, and YEARS of experience that went into this project. The Total Health and Fitness Makeover started out as an idea to help people like me when I needed help the most, and it has turned into this baby of a project that has already brought hundreds of people together and has continued to enhance mine and Erik’s lives, just by working together to give you the best. Just Get It Now Already! We really hope that Strongfigure can bring you what you need to know and that we can always continue to stay on top of the latest health, nutrition, and fitness, news so that we can always keep you informed. Which is why we’re also giving our purchasers special bonus perks. Oh yeah, that’s still not all. BONUS 1: The first 50 purchasers of the book will receive a free nutrition evaluation from Steph. BONUS 2: Perhaps the best bonus of all is that ALL who purchase our book will have access to a private Facebook “Insiders” group made up of the contributors and purchasers of this book. This is a community that will be able to share tips and stories, ask questions, get direct feedback from any of the contributors, and will be able to grow together. This group will even receive access to free webinars and giveaways as we create them. Definitely do not forget to access the Insider Group once you have purchased. Bonus 3: We have one more freebie coming to all our subscribers. Keep your eyes peeled for our best informational piece to land in your inbox this Thursday–so subscribe if you have not already. Make sure to order this week, because the price on the book won’t be this low again, nor will the workbook be given out freely. Cagney, Krissy Mae. FD 2.0: Flexible Nutrition for the Modern Athlete, 2015. I am not a licensed medical doctor, nor do I claim to be, and my advice should not be taken as such. I am not liable for any medical consequences. I have a question… what are you thoughts about taking additional supplements such as apple cider vinegar, Virgin coconut oil, Borage Oil, Omega 3s, and CLA in capsule form to help supplement ones diet? Does taking supplements along with a balanced diet hinder or help progress? I have taken these and always wondered if the is a waste of money or worth the investment. I would appreciate any feedback that you would share! Hey Charlene, (this is Erik) thanks for your comment. We actually cover supplements in the book in the Nutrition unit, the Sleep chapter, and again in the Bonuses unit. Both Stephanie and I do supplement but we also believe most of your micronutrients should becoming from nutritionally dense foods. That said, I strongly recommend certain supplements, such as fish/krill oil–with vitamin E (Omega 3s). And personally, I take vitamin D in the morning, a multi-vitamin later in the day, whey protein and BCAAs. And there are others that I take depending on the time of year and whether I feel l am deficient in something. Also, I use coconut oil in my coffee every morning and apple cider vinegar whenever possible but I don’t even really consider them supplements since they enhance the quality of my food. Hope this helps? Like I said, we do cover this quite extensively in the book. If I eat a Quest Bar that is 180 calories, 7g fat, 22 carbs and 21 protein does my body recognize it as protein or a carb? The package says itonly has “3g net carbs” because it has 17g fiber and 2 g erythritol. It’s a little confusing! Hey Danielle, this is Erik on Steph’s login. You are right it is a bit confusing. I would say it depends on what you are trying to get out of the macronutrients, specifically the carbs. If you are using the quest bar for workout fuel then it seems like it would be an adequate source of energy from both the carbs and fat; however, if you were using it as a post-workout carb source to help muscle acquisition then I would say it is not a great carb source because I would bet a decent amount of that fiber (50%ish) will get converted to dietary fat and that would slow your insulin response and therefore hinder your gains. I always recommend a 2:1 carbs to protein ratio post workout (first hour after workout) with very low fat and very low fiber–assuming your workout involved resistance training and thus muscle recovery. And I would count the carbs as 22 in your daily numbers. Hope this helps! Hi Stephanie and Erik. I’m not sure if I’ve missed something but maybe you can help. 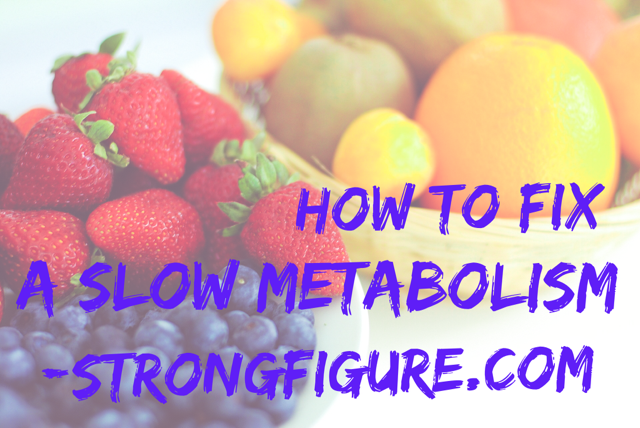 Beginning with the first post of this series, you talk about fixing your metabolic damage and calories. For me, its eating more which I’m in the process of doing. My macros are good to go and I log my food daily. So the part I’m missing (and maybe it’s in the book?) 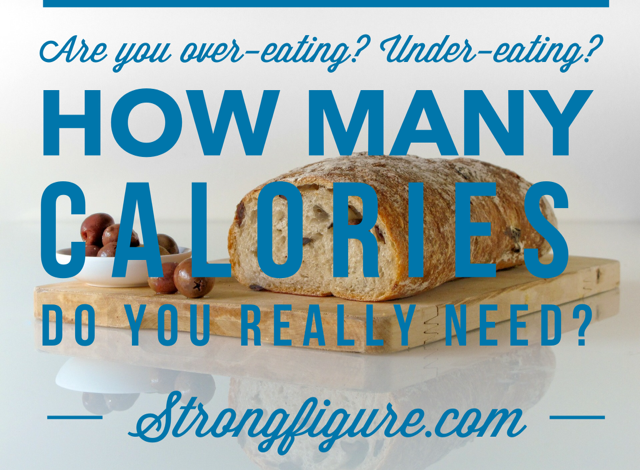 is… So, once I’ve stabilized my calories and weight, how do I go about LOSING body fat? I lift heavy and do HIIT cardio/Tabata and upping my calories has helped so far with how I feel. But now I’m confused at how I get to the mythical caloric deficit that’s supposed to make you lose fat (and of course, keep the muscle I’m building). Any tips? Thanks as always for all the help!